We’ll be out petitioning from 10am-1pm today in Morningside, nr Waitrose. 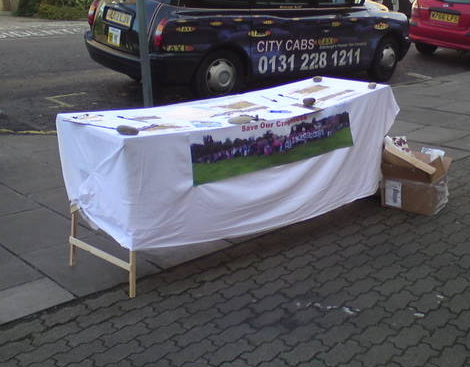 We’ll be the ones dressed up to the nines in various woolly garments – and you’ll recognise the trusty campaign table. Do pop by and say hello if you’re passing. And if you haven’t signed already – please add your name to our petition. It all mounts up and makes a huge difference. Wish us luck with the weather! (*Blows on hands and stamps feet for warmth*).